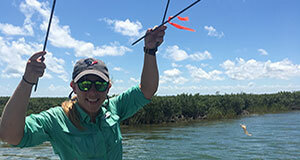 Join the Dauphin Island Sea Lab on World Oceans’ day to learn how you can be a protector of our environment. World Oceans Day 2018 will focus on preventing plastic pollution and encouraging solutions for a healthy ocean. 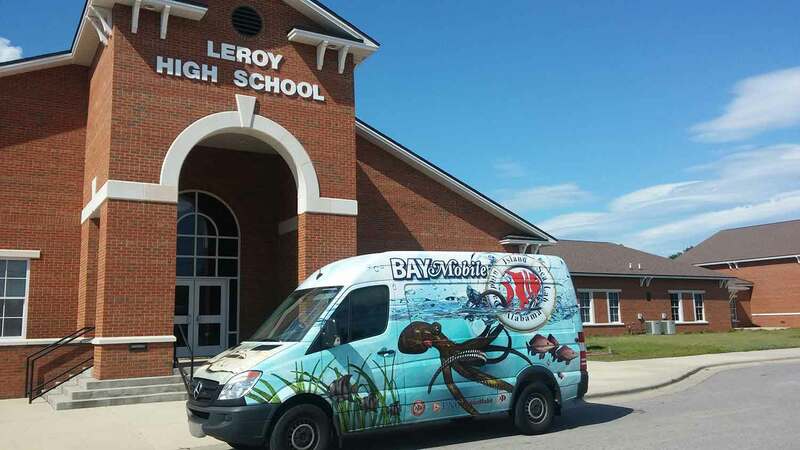 The Dauphin Island Sea Lab Discovery Hall Programs wrapped its 6th annual Northern Gulf Coast Regional ROV Competition on Sunday, May 6. 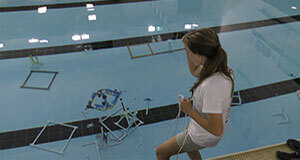 The competition is a part of the Marine Advanced Technology Education (MATE) network of 31 regional competitions held across the United States and around the world. 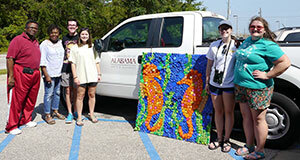 The University of Alabama Marine Science Club used bottle caps to illustrate the impact plastic debris can have on marine life. 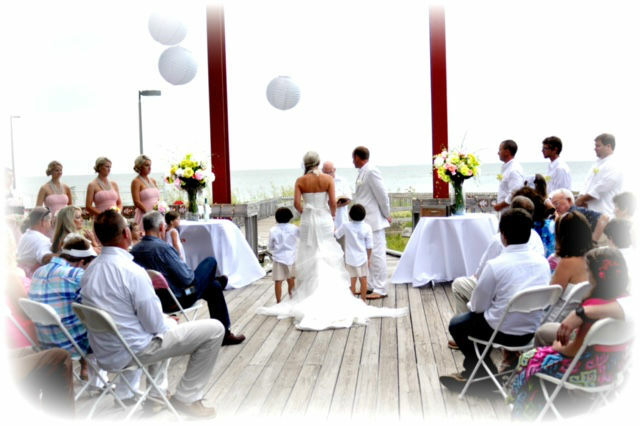 The six murals will be displayed indefinitely at the Dauphin Island Sea Lab. 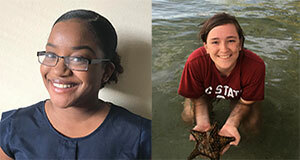 The Dauphin Island Sea Lab awarded two Rita George Fellowships to undergraduate students registered for the 2018 University Programs summer session. 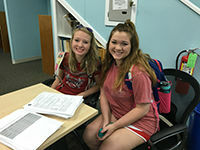 Chesna Cox, a junior at Troy University, and Caroline Beshears, a senior at the University of Alabama, received the fellowships. 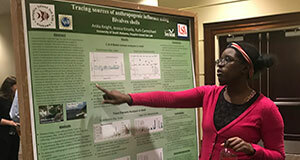 Dauphin Island Sea Lab students took part in the University of South Alabama's 25th annual Graduate Symposium held March 12 through March 14. 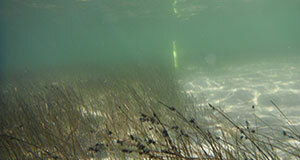 Interested in learning more about our coastal habitats? 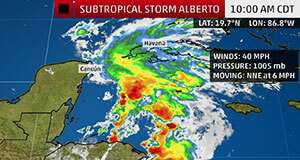 Have a few hours to volunteer each week or month? 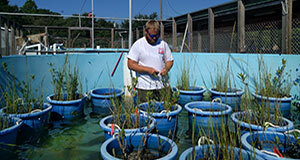 Then, the Estuarium at the Dauphin Island Sea Lab would love your help. 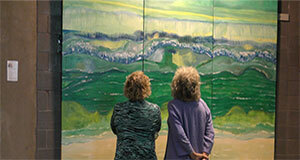 The annual Docent Introductory Class will be held on Saturday, March 3. 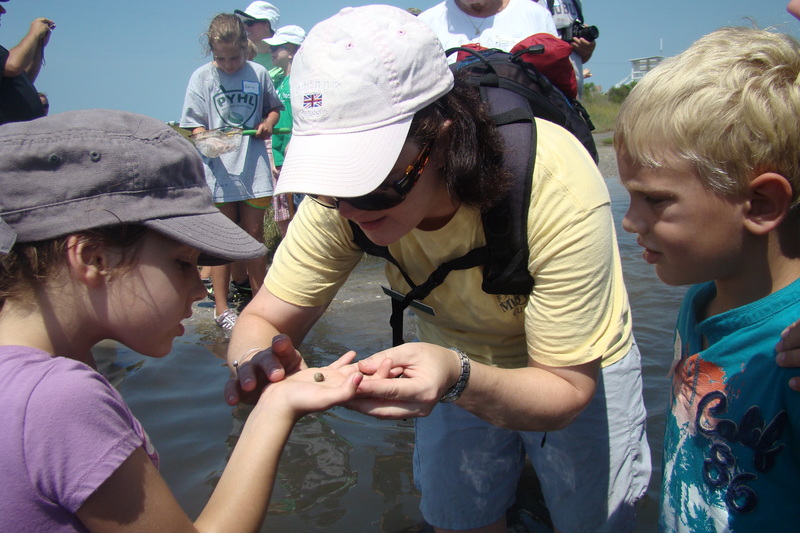 The Estuarium at the Dauphin Island Sea Lab announced dates for the 2018 Summer Excursions. 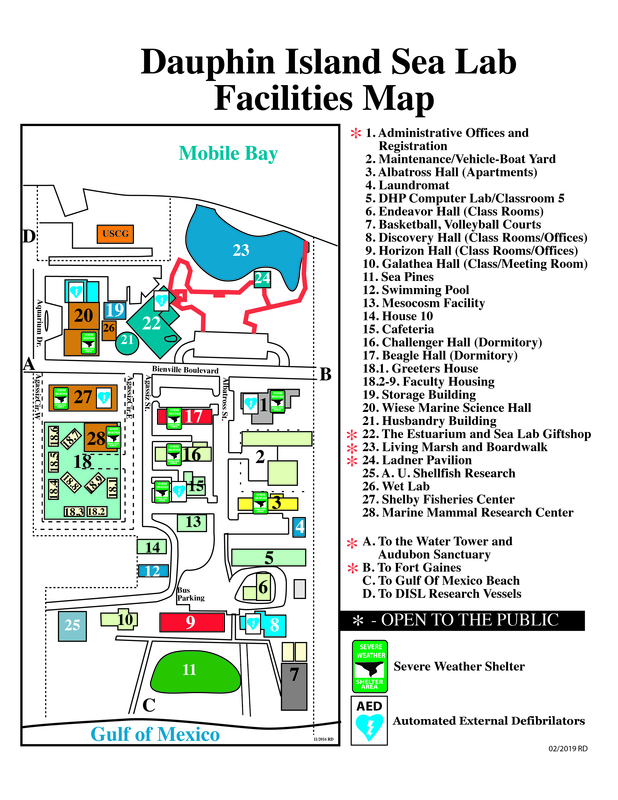 The excursions take visitors into the habitats studied by our marine scientists, researchers and students at the Dauphin Island Sea Lab. 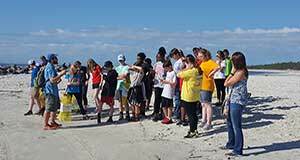 Thompson Middle School's seventh grade science teachers brought their students directly to the lesson at the Dauphin Island Sea Lab. 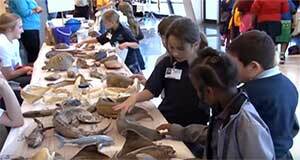 It's a trip Thompson Middle School students have had the chance to experience for more than 20 years. 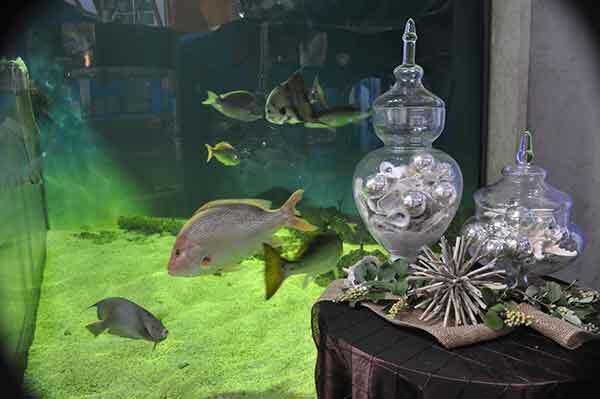 The Dauphin Island Sea Lab Foundation will host the sixth annual Marine Environmental Awards Luncheon on Tuesday, November 7, 2017 from 11:30 a.m. until 1 p.m.at the Renaissance Riverview Hotel. 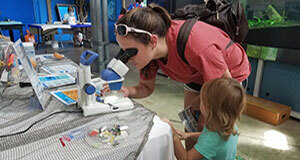 Dauphin Island Sea Lab's Discovery Hall Programs took a trip to Louisiana this week to participate in Louisiana Sea Grant's 20th annual Ocean Commotion on LSU's campus. 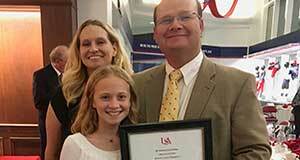 Dauphin Island Sea Lab Senior Marine Scientist Dr. Sean Powers received high honors from his home campus, the University of South Alabama, during the College of Arts and Sciences Faculty Awards Ceremony. 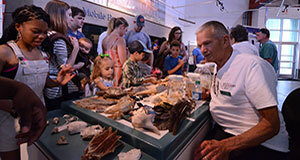 The Estuarium at the Dauphin Island Sea Lab will be closed on Saturday, September 28 in prepartion for the Dauphin Island Heritage and Arts Council's Gulf Seafood Gala. 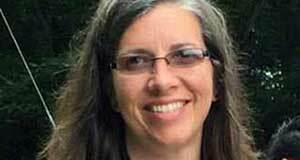 A newly funded project by the Gulf of Mexico Research Initiative will include Dr. Ruth H. Carmichael of the Dauphin Island Sea Lab and the University of South Alabama.